If you didn’t already like violins and whistling, this guy will change your mind. 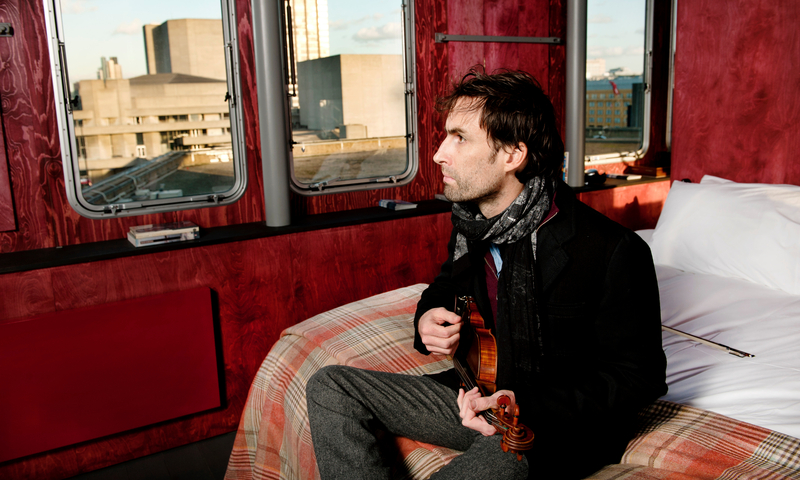 The tie between Andrew Bird’s music and his last name is undoubtedly a product of fate. Listening to his work with closed eyes, it’s easy to imagine you’re in the middle of a field of flowers or at the bottom of a canyon, birds chirping somewhere in the distance. It’s no surprise, then, that last year he released a compilation of songs called Echolocations: Canyon—each piece of which was inspired by and recorded in a different spot within the Utah Coyote Gulch. Possibly as a deliberate reflection of his own name, or maybe by simple coincidence, Bird uses his medium to get as close to nature as possible—and to bring his listeners along. 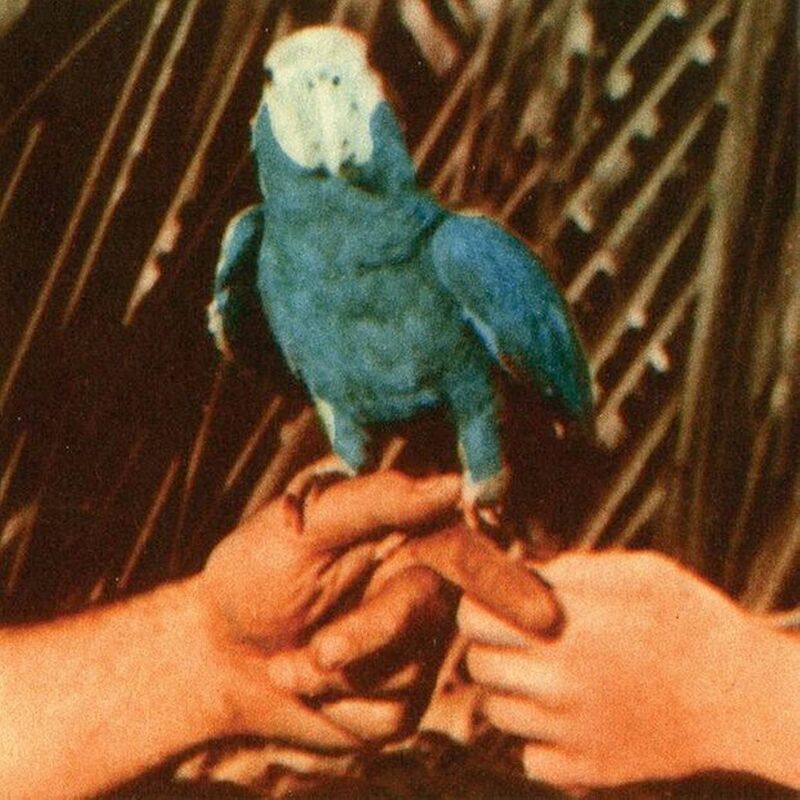 On his new full-length album, Are You Serious (his first traditional release since 2012’s Hands of Glory), Bird returns to the studio, but his birdlike whistling and clear fascination with the outdoors both remain. Are You Serious plays primarily with themes of love and domesticity. It’s his first full-length album since he’s become a married man and father, and many of the songs deal with the stresses, pains and joys of becoming a settled-down adult. Bird does a careful job throughout the album of balancing serious topics with uplifting melodies. This may be his most accessible project to date, with some songs putting a noticeable focus on percussion and stepping nearly into the pop territory. Bird became one of my favorite artists a few years ago for many of the same reasons why I love this new album. Namely, he plays the violin—an instrument that usually puts me to sleep—with such personality that it fits perfectly into the alt-rock songs he writes. He also has an impressive résumé. First and foremost, he’s a classically trained multi-instrumentalist, and you can tell. He was able to hold his own playing violin alongside Yo Yo Ma and his “one-man orchestra” Ted Talk is another testament to his insane abilities. The opening track “Capsized”—also the lead single from the album—is a rhythm heavy, almost Bill Withers-like tune with a harder edge than much of Bird’s past work. What sounds like a guitar riff in the beginning is actually Bird plucking at his violin while it’s plugged into an amplifier—a quirky detail that’s actually effective. As when he talks about “spooning dirty laundry” in place of the girl he’s just broken up with, the lyrics walk a thin line between funnily honest and brutally sad. The message is equally dismal on my favorite track “Left Handed Kisses,” a love duet with Fiona Apple in which two characters argue over the value of a love song (it’s very meta). This dream pairing works just as well in reality as in theory. Apple’s harsh, weighty delivery is a perfect compliment to Bird’s higher pitch and the song’s frustrated lyrics. If the album had a thesis, I imagine it would be “Valleys of the Young,” in which he asks his wife whether or not they should have a child. The lyrics suggest a real battle with the idea of taking that step, as it could mean losing friends and leading an entirely different lifestyle. But Bird seems to come to terms with the idea as the album progresses just as he must have in real life. Are You Serious is livelier than his other recent works, including Echolocations, Hands of Glory and 2012’s Break It Yourself. The songs on those albums are intricate but mostly soft, whereas these new ones demand attention. Bird’s music has always reflected his dedication and love for what he does, but here he seems to be having a genuinely good, pressure-free time. He also uses the album to revisit past work. “Chemical Switches” plays around with a melody originally recorded in 2013 as an instrumental called “Lit from Underneath,” and the final track “Pulaski” is a revised, faster version of “Pulaski at Night” from that same project. But the ideas don’t feel recycled—though the tunes are recognizable, Bird gives them a different life within the context of this new album. It’s refreshing to see a musician fiddle with a song even after a version of it has already been put out into the world. Some artists like to deviate from past sounds and start fresh with each album—a decision that I think works well for most. Bird’s progression is more of a building upon what he’s already made. The film equivalent might be Wes Anderson, who over the years has created a world so exact in his filmography that even as his plots and characters change, the feeling of his work is consistent. Similarly, Bird has developed a sound so much his own—using his violin as a sort of second voice—that each of his projects is easier to enjoy when you’re familiar with what came before it. So while Are You Serious may not be breaking any musical boundaries on a large scale, Bird isn’t the type of artist who needs to make a loud statement with a new album to keep people interested. The statement is his collection of work as a whole—gradually evolving while maintaining its core sound—and it speaks for itself well.